I recently attended the Max Velocity Tactical Combat Team Tactics and Mobility Drills class in Texas. 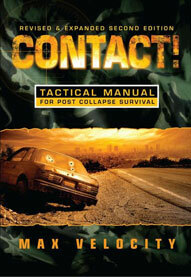 I have been following Max’s blog for a bit and had purchased “Contact”. The more I read, the more I realized I really needed to learn this stuff. I tried to first organize a small group to take the class, but was unsuccessful after 7 months. Then I decided I needed more PT before I took the class. The more I thought about it, the more excuses I came up with. Reality was, the idea of a dynamic firing line made me a little nervous. After enough procrastination, I decided it was time to man up and take the class. Wow. I am glad I did. As in most of the student reviews, I can say that Max runs an extremely safe range. He takes safety very seriously and makes sure all of the students do as well. At no time during the week did I ever feel I was in any kind of danger (well, maybe from the other students for snoring back at the lodge. Sorry T.) Any concerns I had were over by the middle of the first day. As a lot of students before me have said, Max is an excellent instructor. You have read about “crawl, walk, run”. In hindsight, it’s very easy to see how he did it. However, during the training, he managed to keep everyone, all with different skill sets, interested and engaged. It was amazing how much we accomplished in 5 days. 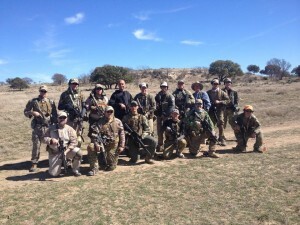 From day one on running your rifle and malfunction drills to day five with the squad attack. Was that really the same group? A few words on PT. You always need more. I am certainly not in the best shape, but was able to keep up and follow along. Don’t let your lack of PT prevent you from taking this class. Yes, you need to have a certain amount of PT, but Max does run his classes in a way that allows everyone to participate. You will not be left behind. I would highly recommend Max’s Training Plans before you take the class irrespective of where you are at PT –wise. You will be glad you did. The best thing I heard over the week regarding the PT part of the drills was from another student. Run the drills at YOUR maximum effort. Run the drill as fast as you are able, while still staying safe. Not everyone in the class will run at the same speed, and that is fine. As much as I learned, and as valuable the training is, I would be remiss without mentioning one more aspect of the training…it is FUN. Almost everyone had a huge smile on their face after each drill. True, most of us are not there for the “fun” factor, but it was a blast. Most of us kept harassing Justin because he wouldn’t stop smiling. He was like a kid at Disney World for the first time. Truth be told, I was smiling just as much. If you are procrastinating or are concerned about taking a MVT class, STOP. Man up, sign up. You will be glad you did. I can’t wait to be able to take another MVT class. Mark, I can only speak for myself here, but something that just dawned on me as I read your review was that the “fun” factor (for me) was in large part because of my sense of accomplishment and empowerment. During the course, I was constantly amazed at how much better we were all getting at doing this stuff, and even though that didn’t make us firebreathing super-ninjas, it did give us all a MUCH better chance at surviving (and help others survive) situations that most of us would honestly not have had much chance at surviving before the course. So yeah, it WAS fun on a basic “let’s run around and shoot stuff” level, but I’d bet a lot of our silly grins were really deeper than that. I couldn’t agree more. Although I was the one with the cheesiest grin, I know that my delight was rooted in the fact that I was increasing my family’s chances in a bad situation.